JOAN WICKEN (79) former Personal Assistant to the late Mwalimu Julius Nyerere, died on December 5th of pneumonia after six weeks in hospital. Emeritus Professor Lionel Cliffe said that her life should be celebrated. It was essentially unsung. She had had four major commitments – to Tanzania, to Africa and the Third World, to the late President, with whom she had an incredibly creative working relationship (they had had only one serious row – about women’s position in society) and to socialism. She became an actor in the making of history. She had worked first in 1960 for the Tanganyika Education Trust whose main purpose was to create a college for adults like Ruskin College in Oxford. She spent several weeks touring many of the remotest villages in the country collecting funds (often only a few shillings or, on some occasions, just a chicken – Editor) – to build what became the Kivukoni Ideological College in Dar es Salaam. Her final major job had been to assist the President in setting up the South Foundation. With him she visited 31 countries in less than six months and met Heads of State all over the world. 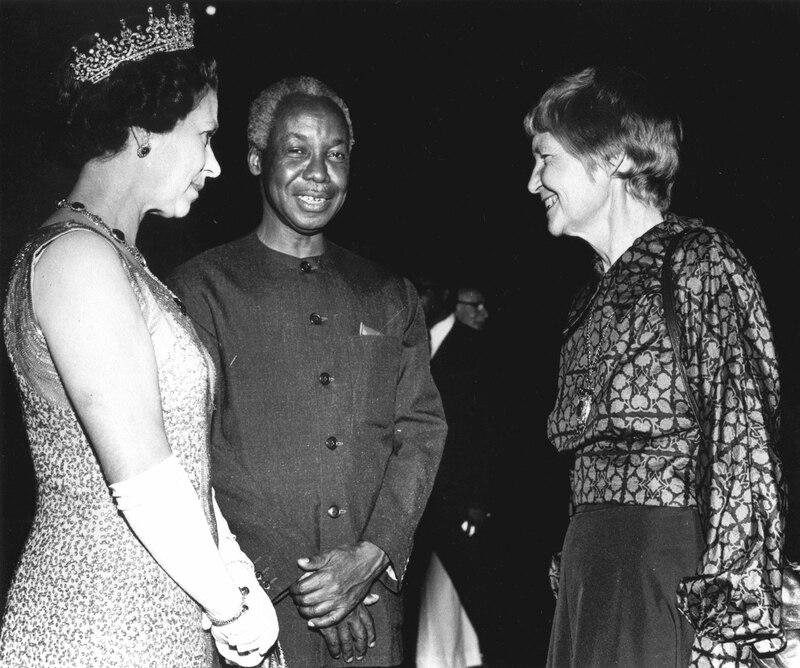 Later she helped in setting up the Nyerere Foundation in Dar es Salaam. She retired in 1994 as her health began to deteriorate. She stayed for five years in Keighley with old friends Mike and Maureen Yaffey who organised the funeral ceremony. Speaking to TA afterwards, former Tanzanian Attorney-General (1961-65) Roland Brown, who still works on various legal matters in Tanzania, said that Joan was a ‘mirror of Julius Nyerere’s mind’ and, in dealing with his correspondence, had a marvellous ability to write things for him which sounded like him. She drafted innumerable letters to other Heads of State and many of his speeches on the basis of only brief conversations with him. She was never indiscreet. In her retirement, she worked on transcribing the detailed shorthand notes she had taken during her time with the President. Several speakers referred to her unassuming and modest nature in spite of her strong character and strong beliefs. Photographs were circulated of the simple thatched roof hut, in the Salvation Army compound in Dar es Salaam, where she lived for many years. The ceremony ended with an example of New Orleans revival jazz music – ‘Panama Rag’.